When you speak, sound travels throughout the cavities in your head, including your ears. 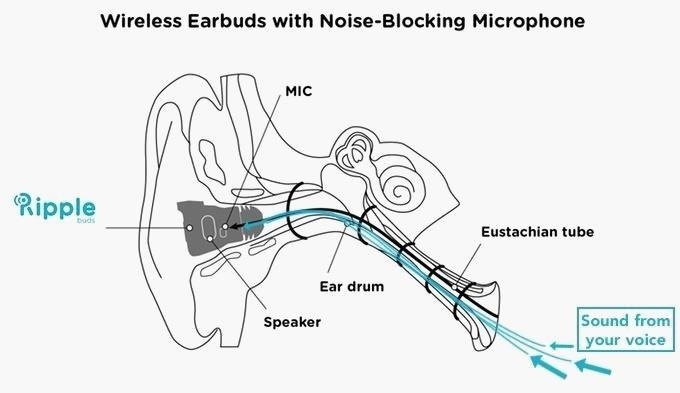 The RippleBuds microphone listens to the emanation of sound from your eustachian tube before it encounters any outside noise, so there's never any mistake to what you're saying. 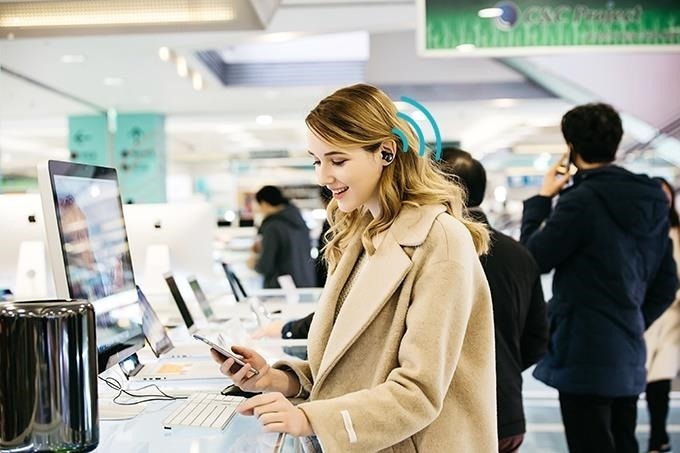 The wireless in-ear headphones connect to your phone via Bluetooth, and that's all you need—no unsightly choker or secondary item. Plus, it cancels out ambient noise via its three-fin design; your world around you will fade out so you can hear calls and music much better. 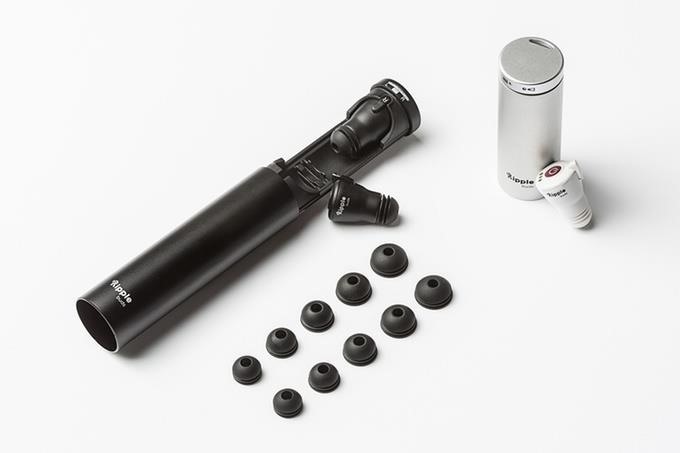 To recharge the earbuds, fit them into their "recharging capsule" which you pre-charge at home with a micro USB cable. The design is meant to unobtrusively fit in your pocket. 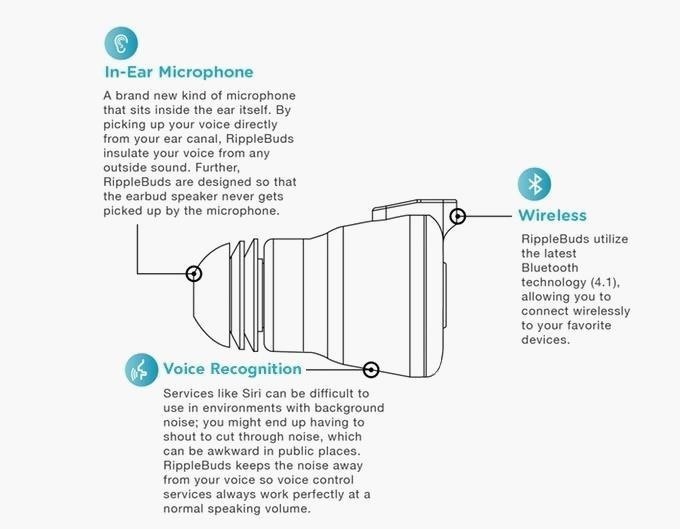 The makers of RippleBuds boast an innovative design so that the speaker and microphone don't interact with one another, even though they're both in the situated ear canal. RippleBuds' Kickstarter campaign has already ended and secured the project $750,374—over 15 times their goal. However, you can still preorder one today over on their Indiegogo page with an estimated ship date of July 2016; $99 will get you a pair of mono RippleBuds, $129 a stereo set, and there are combo packs for higher prices as well.